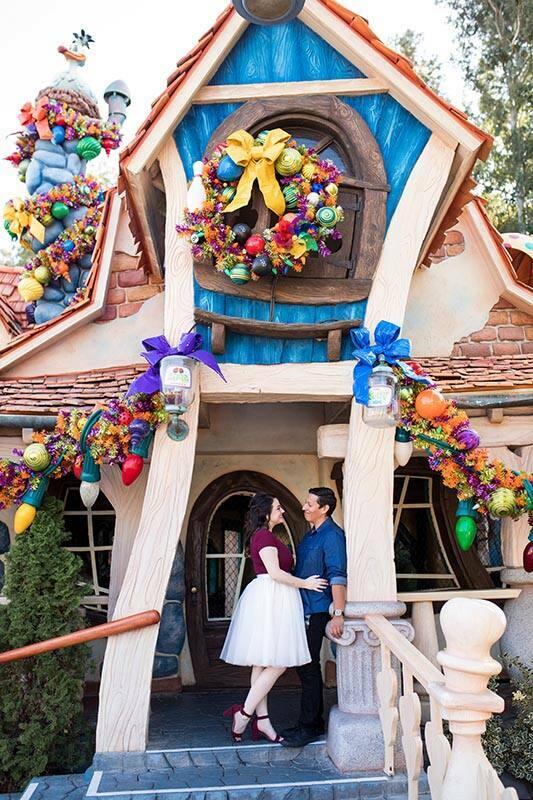 Katrina and Russell's love story began like many others. 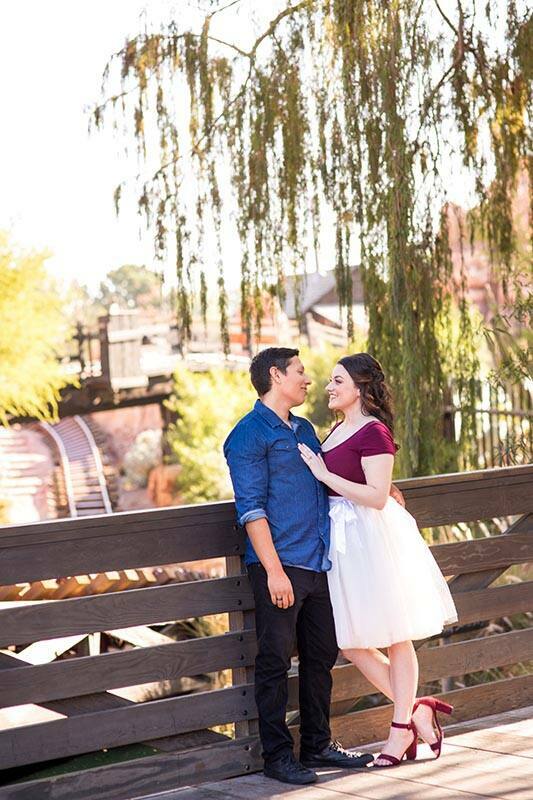 The two first met during their freshman year of high school at a football game. In the beggining, the pair didn't hit it off and barely spoke to each other...and it continued that way for the next three years! It wasn't until their senior year rolled around that Katrina and Russell found themselves in the same social circle. Sparking the beginning of their friendship. They headed off to college and their friendship continued to grow. 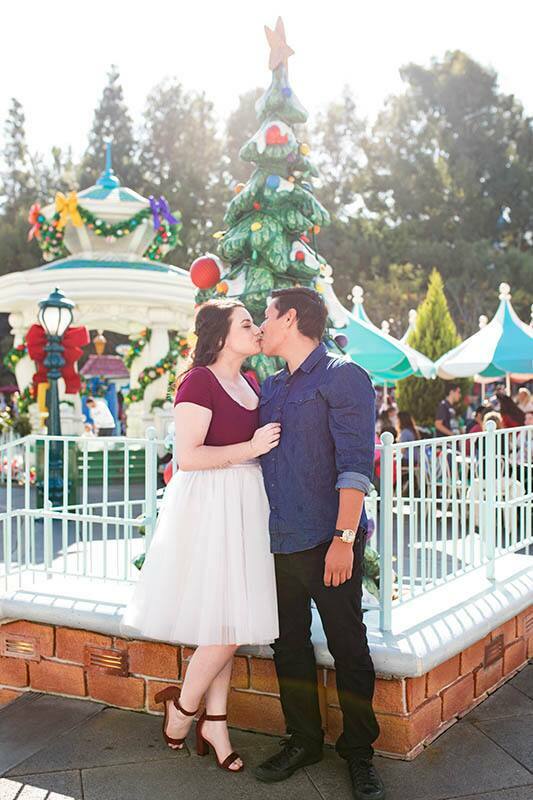 But it wasn't until sophomore year that they decided to give love a shot, and they couldn't have found a "better partner to navigate through life with." 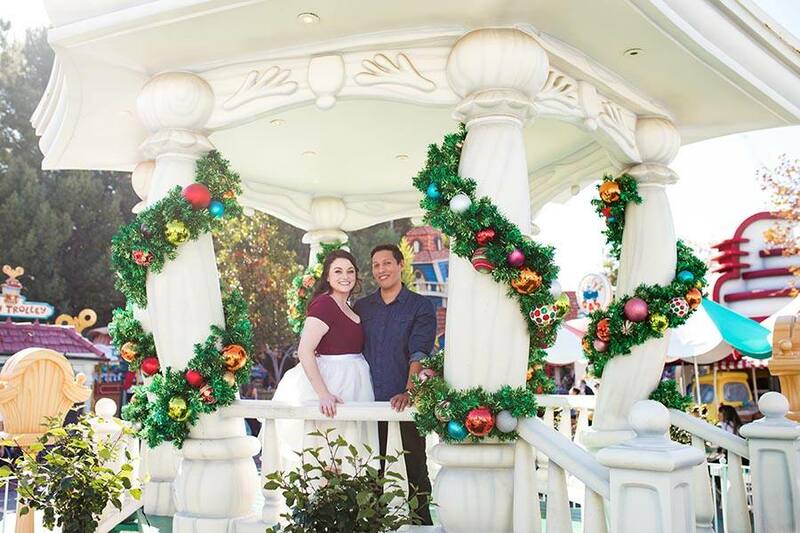 Now, when it came to the couples recent proposal, they shared that it was a "bit nontraditional." Katrina planned to ask Russell to be her husband rather than the other way around. Nervous for the big moment, she searched for the perfect words to ask him. One day, with a ring in hand, she began reciting a speech she wrote. But, she forgot to mention one important thing. 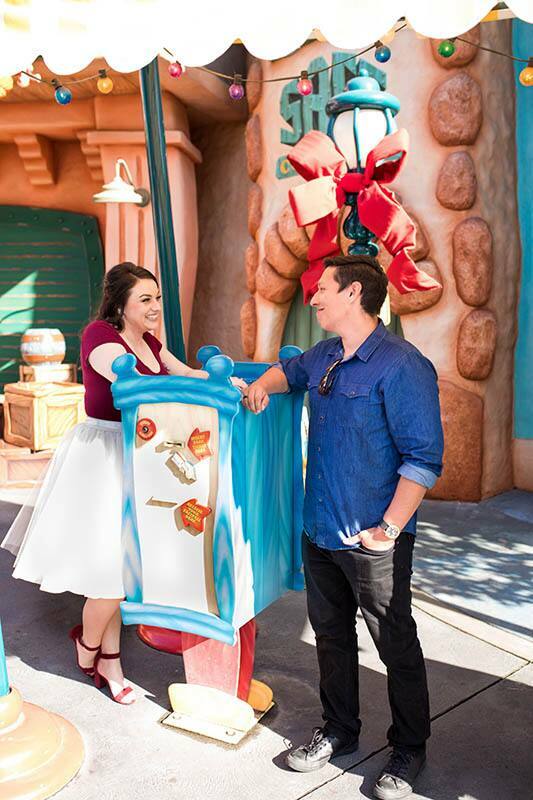 Russell leaned down, and asked, "are you asking me to marry you? " They shared a laugh, and Katrina finally asked him to be her husband. He said, "of course! ", as if there were no other answer. 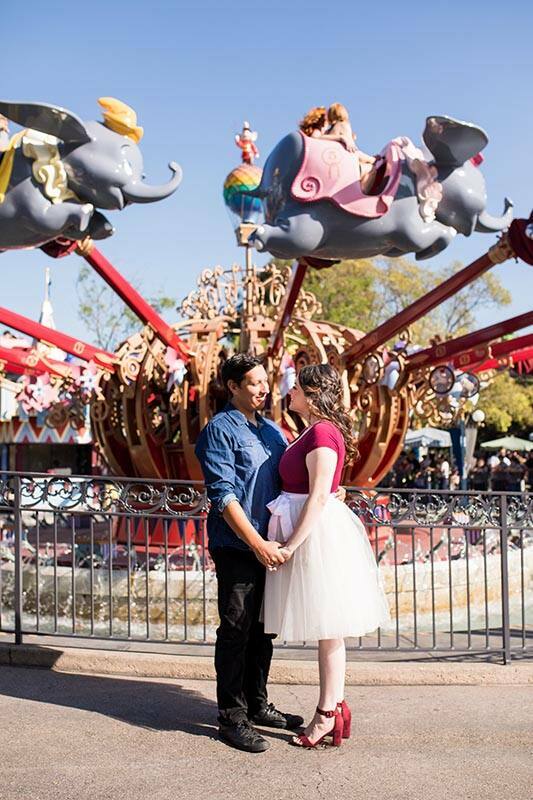 The quirky and fun-loving couple both grew up in families who loved all things Disney, and Katrina's late mother especially loved the happiest place on earth. 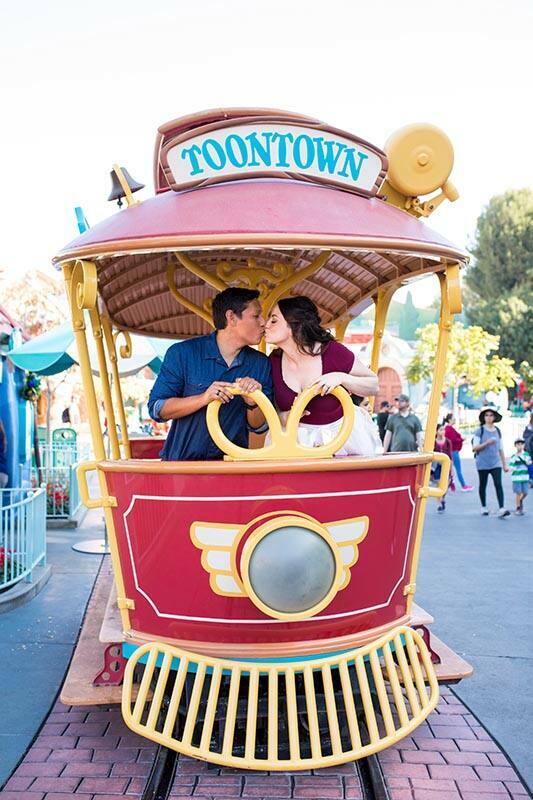 So, when it came to celebrating their engagement, there was no better place than Disneyland to capture the couples love. 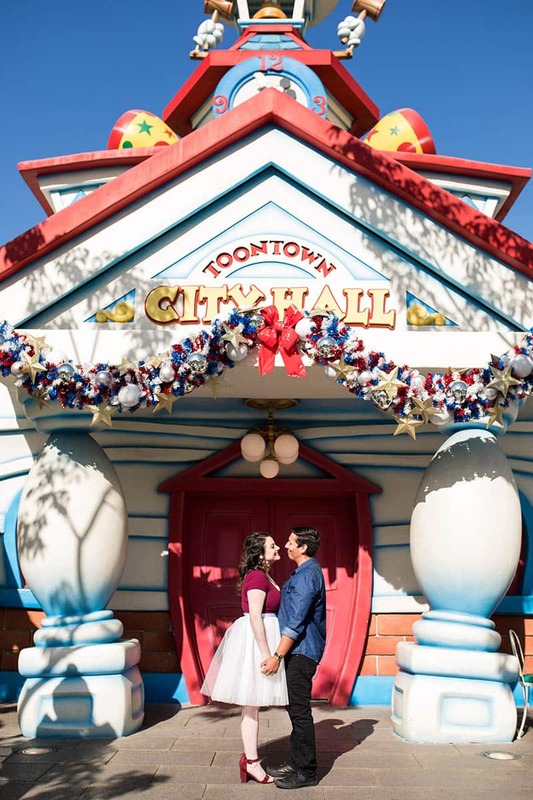 On a gorgeous day, the pair adventured around Mickey's Toontown decorated with holiday decor! 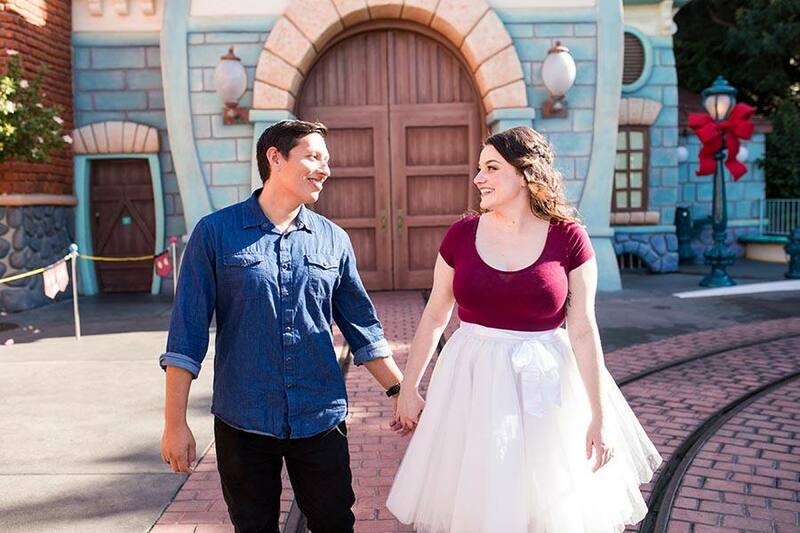 Check out some of their picture perfect moments below!